Trim the asparagus tips to approx. 4 cm (set aside the ends for the soup). Heat the butter in a frying pan, sauté the asparagus tips for approx. 6 mins. until just soft, then keep warm. Heat the butter in a pan. Sauté the shallots, reserved asparagus ends and sugar for approx. 5 mins. Add the flour and cook for approx. 2 mins. Pour in the stock, bring to the boil, reduce the heat, cover and simmer for approx 15 mins. until soft, blend and pass through a sieve. Add the cream, heat up the soup, season. 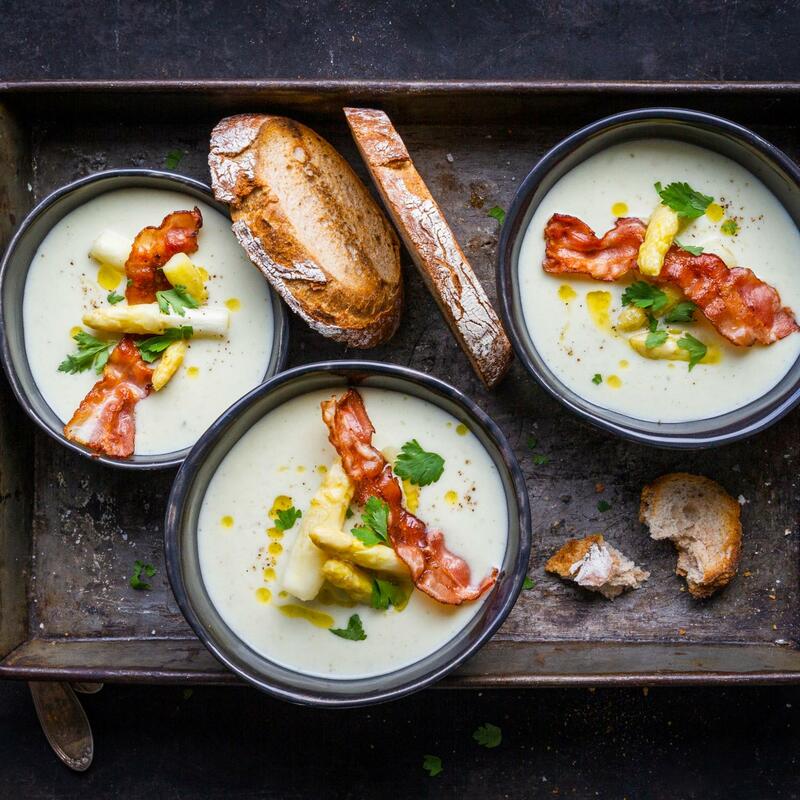 Plate up the soup, garnish with the crispy bacon and chives. Serve the asparagus tips alongside.